We plan to answer all commonly asked questions here. If you have another please get in touch. Why should I join AMPdj? We provide some great tangible and worthwhile benefits for our members which is probably why AMPdj is the largest Organisation for Mobile DJs in the UK with 3 out of every 4 mobile DJs choosing AMPdj as the one to join. We also do all this for the fantastic price of £49. Are we the best for YOU and your business? Have a read of the site and if you're still undecided give us a call on 0333 577 2247 (Calls charged at normal landline rate and included in applicable call/bundle packages). If you are a singer, musician or in a band or tribute act then you may find our sister organisation 'AMPband' would be more suitable for you. What is the period of membership? The period of membership to The Alliance of Mobile & Party DJs is for 12 months. At the end of that time you can choose to extend, cancel or simply not renew your membership. Can I phone you if I have a question? Yes you can - our phone lines are manned from lunchtime right through until late in the evening. You can reach us on 0333 577 2247 (Calls charged at normal landline rate and included in applicable call/bundle packages) and if it's outside these hours or the lines are busy just leave a message and we'll call you back. You can also request a call-back by completing the form here. Can I pay for my membership over the phone? Yes you can - simply call us on 0333 577 2247 with your card details (Calls charged at normal landline rate and included in applicable call/bundle packages). If the lines are busy just leave your name and phone number and we'll call you back or you can request a call-back by completing the form here. This is deemed a 'Business to Business (B2B)' transaction under the distance selling regulations. Refunds less an admin fee will only be made if the full PLI Documents have not been issued (in most cases these are issued immediately upon payment). We don't automatically renew your membership at the end of the term so if you no longer require our services then they will expire. Yes you do! It will be available for you immediately after joining and will be personalised with your details. You can, if you wish order a plastic membership card for just £3.40 from the AMPdj Goodie Store. Is membership just for DJs? I don't have a PayPal account or a credit/debit card. can I still join? Yes you can. Your account will be manually activated once payment is received. Contact us here for further information or give us a call on 0333 577 2247 (Calls charged at normal landline rate and included in applicable call/bundle packages). How quickly can I get DJ Liability Insurance? How much is it for Public Liability Insurance for a DJ? 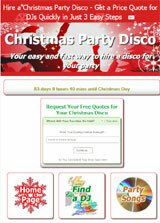 If you're looking for a quote for DJ Insurance then our membership costs just £49 per year. This includes free £10 million Public and Product Liability plus registration for receiving enquiries from one area and many other great benefits. Will I receive a DJ PLI Certificate? Yes - you will able to print off your DJ Liability Insurance Certficate from within the DJ Login Area immediately after joining. You can also save your DJ PLI Certificate as a PDF for sending to venues as an email attachment. What does the DJ PLI cover? This policy covers legal liability to pay compensation in respect of accidental bodily injury or accidental damage to Third Party Property see full details here. It does not cover 'non-DJ' related activities such as Face Painting, Photo Booths, Bouncy Castles, Bucking Broncos, Balloon Modelling etc (this list is not exhaustive). Why do I need DJ PLI? Many venues insist that any 3rd party contractors (such as DJs) who work at their premises have their own liability cover. If you cause damage to property or if your equipment injures a guest or member of staff, you could be liable. PLI covers you for these eventualities. As DJ Public Liability Insurance is so cheap these days it's well worth having. How do I get DJ Public Liability Insurance? Fill in the membership application form here. Pay the appropriate fee and you are covered from immediate effect. 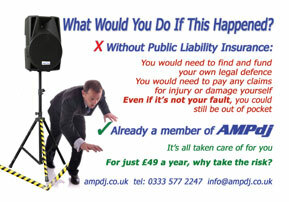 Ideal if you need DJ Public Liability Insurance quickly! How do I prove I have DJ Public Liability Insurance? After joining, and paying the appropriate fee, you will be able to download your Mobile DJ PLI certificate which will contain your name, address and policy number. In addition, you can add a PLI validation button to your website. Clients and venues will be able to confirm your current PLI cover at any time with a click. Is my roadie covered under my DJ PLI Policy? Only the named DJ is insured. This policy does not cover a person employed by you (whether paid or voluntary). New rules on Employers Insurance came into effect in May 2011 so check with your broker if you are covered with ELI. Are other DJs who work for me covered by my DJ PLI Policy? No - the policy is for the named individual and not a disco company. 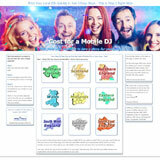 You can insure additional members of your team using the application form and selecting a different area for each DJ. For example, if you have 3 DJs working for your company, each member is registered for a different area but using your disco name and email address, so all enquiries for those 3 areas will still come to you, and each member is insured in their own right. If you don't require additional areas then we will credit your AMPdj account with £10 for each additional member of your team. Give us a call on 0333 577 2247 (Calls charged at normal landline rate and included in applicable call/bundle packages). Is there an age limit for Membership or DJ Public Liability Insurance cover? No - There is no minimum (or maximum) age limit for membership (which includes the PLI cover). We have members in their early teens right through to 'youngsters' in their 70s! Is my disco equipment also insured under this policy? What happens if I hire out my disco equipment? The intention of the policy is to cover individuals who are primarily disc jockeys but who hire their equipment out when not using it, the intention is not to cover specifically disco equipment hire companies. What areas am I covered for? The DJ PLI policy covers you for all work you undertake as a mobile DJ and, provided you normally reside in the UK, it covers you worldwide. Do you provide short term DJ PLI or disco insurance for one night? Our £10m DJ Public Liability Insurance is provided as part of annual membership so unfortunately short term or one day insurance cover DJ PLI is not available - you may find that dj insurance for one day (or for a weekend) is actually more expensive than our annual membership! My disco is registered as a Limited Company. The policy only provides cover for individuals who are AMPdj members. Each DJ will be insured as against their individual legal liability but there would be no cover for claims brought against the company. Limited companies are not covered by the policy. If a member goes down this road they are going to need to take out a separate policy in the company name. How do I receive extra enquiries? After your account is activated you will automatically receive all enquiries submitted for your chosen area(s) by email. These enquiries are generated from our five feeder sites (see right). Enquiries are sent to you as soon as they are submitted by the client. Why don't you have members listed on your site? To make it fair for all members we use a unique system where all members are in with the same chance. We don't give preferential treatment to the owners, committee members or 'friends' by placing them at the top of a listings page. Can I still join if my area is full for enquiries? This happens when an area/County reaches its threshold of members for enquiries. Yes you can still join by selecting the 'No Area Selected' option. You can also make use of our 'Waiting List' facility for non-available areas and you will have the opportunity to include the area if a vacancy later becomes available. Your DJ PLI is valid worldwide and is not affected by your choice of areas. Do I have to go back on the waiting list each year? No - provided you renew on time! If you allow your membership to lapse and you re-join at a later date then you may need to use the waiting list facility if your place has been taken by another member. How many extra enquiries will I receive? We can't put a figure on it but hopefully lots of them! We are using a tried, tested and proven system - unique in the UK, however we won't make any false, exaggerated or misleading claims. We also believe that we are offering the best deal for DJ PLI in the Country and gaining enquiries on the top of this is an added bonus. 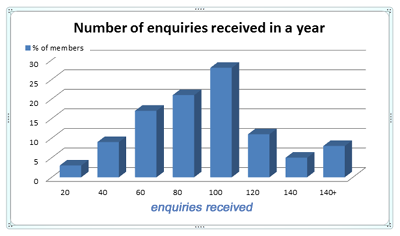 We have made an analysis of all the enquiries received by members via the AMPdj client sites, 73% of members received more then 80 client enquiries during a single year. By November 2016 we reached the £5,000,000 milestone for enquiries and bookings gained for our members - generated from the 5 AMPdj client sites. Can I select extra areas for enquiries? Your initial membership fee includes one free area. Additional areas can be added at a cost of £20 per area. Can I add extra areas later? Yes, if you decide you want extra areas during your membership, you can log in and add these to your subscription. You will only be charged a percentage for each extra area, relative to your remaining membership term. Some areas are now capped and cannot be added to an existing subscription. Check out your AMPdj Membership Benefits (which includes our DJ PLI policy) then go compare it with other DJ insurance and benefits package options for mobile DJs. This is not just a short term price offer - we've held our membership price for the last 8 years!.